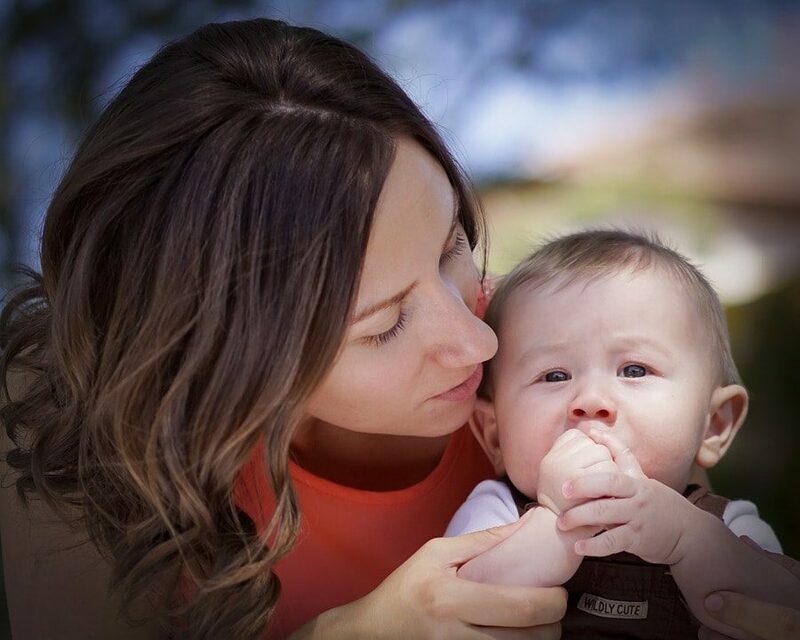 Amanda is a proud mom to a beautiful little girl and adorable baby pirate boy. She can be found blogging at ohamanda.com, her daily blog, where she shares her life and her love of good books, and at Impress Your Kids, where she shares her ideas and activities for impressing God’s Word on her children’s hearts. 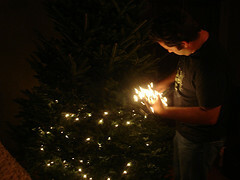 This post was originally posted at ohamanda.com on December 26, 2008. See, I have this friend of a friend of the family (you know, the guy you duck when you see him at the store because you don’t really know him and you don’t really want to have a conversation about your family). Anyway, he used to (I don’t know if he still does) go all out for Christmas. His Christmas tree was the most amazing thing I’ve ever seen. 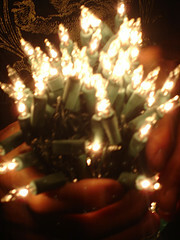 He wraps EVERY SINGLE branch with lights. It was brilliant. 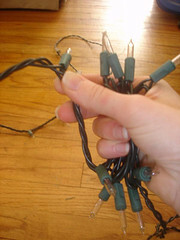 And he showed us the secret to storing Christmas lights. 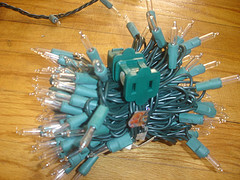 Then keep matching the odd and even bulbs. Eventually, it will look like this. 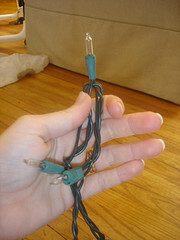 Just wrap the remaining cord around and plug it back in! Now isn’t that better than my husband’s wrap job? And it only takes about a minute a strand–it’s way easy! 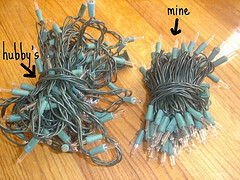 But even better is next Christmas when you dust off your boxes full of decor, your little strands of lights will be ready to go! 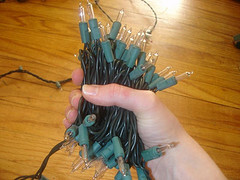 You just hold it in your hand and wrap it right around the tree. 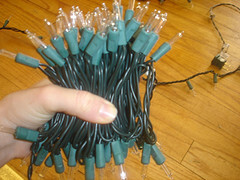 No de-tangling, no pulling them across the floor, just easy tree lighting!